Do you need a trusted emergency dentist for your family in Lagrangeville and the surrounding areas? We proudly serve our community with affordable, full-service dentistry in a comfortable environment. Dr. Paes understands that dental problems aren’t always predictable. However, there are certain concerns that need to be treated in a timely manner. Our emergency dental care services are carried out with prompt and compassionate care so that patients can avoid worsening pain and more costly treatment. Whether your child’s tooth was knocked out on the playground or you are missing work due to an infected tooth, Town Center Dental of LaGrange wants to see you as soon as possible to restore your smile. When it comes to dental accidents, the health and aesthetics of your smile are often at risk. Dr. Paes is an esteemed dentist who is qualified to perform routine dentistry as well as complex restorative cases. We provide a full menu of services in cosmetic dentistry as well as crowns, dental implants and more. 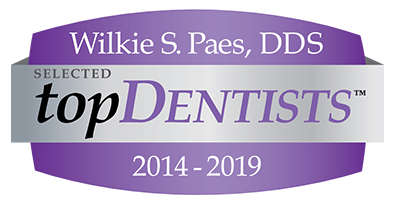 In addition, we have adopted state-of-the-art technology in our practice to ensure patients receive the most comfortable and streamlined treatment after a dental emergency. Put simply, your smile is in good hands with Town Center Dental of LaGrange. We understand that dental emergencies can be frightening, especially if it involves your child. You can trust our office to ease your anxiety at every step, from our relaxing amenities to our options in sedation dentistry. We also value the importance of making sure your dental emergency treatments don’t disrupt your savings. Town Center Dental of LaGrange accepts dental insurance, but we also provide valued financing options to ease your budget burdens. Let us treat your dental emergency today. Contact Town Center Dental of LaGrange, and we will make every effort to see you as soon as possible so that you can regain the comfortable and confident smile you deserve.